To get that traditional look you need to have split wishbones. This kit allows you to weld up your own split bones and includes 11/16" weld-in bungs for the wishbones, jam nuts and 11/16" heim joint rod ends. 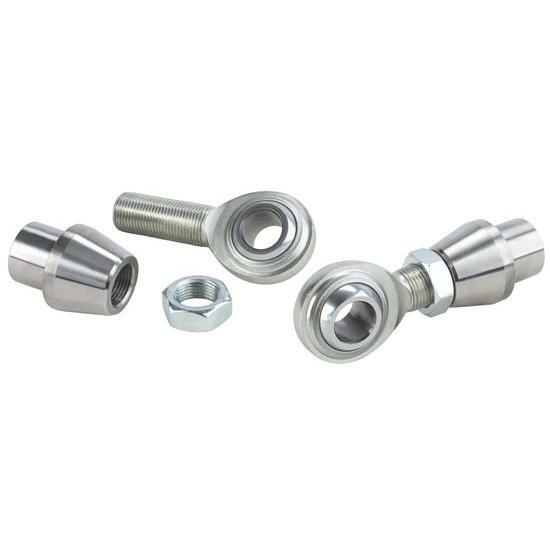 Heim accepts a 5/8" bolt. Click to learn about split wishbone, hairpin radius rod, and four bar suspensions. Learn the history and difference between these solid axle suspension designs.